The Santa Marina Hotel, is a large A' class hotel situated at the most beautiful region of the West Crete, the Aghia Marina Village. 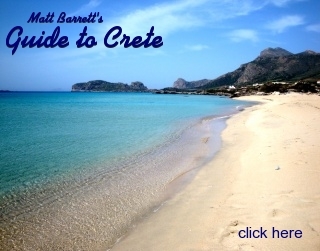 It is located only 8 kms from the picturesque and famous city of Chania, on a long sandy beach. The hotel consists of two complexes connected with an underground tunnel. It has 188 spacious and comfortable rooms, all with balcony, 3 channel radio, direct dial phone, air-conditioning, T.V., mini bar, and private bathroom. The hotel offers a variety of meals from traditional Greek to famous international dishes. A la carte menu is available for dinner either at the main restaurant or at the a la carte restaurant which overlooks the pool. Room service is available to all clients and safe deposit boxes are available in the reception area. Both complexes are surrounded by extensive colourful gardens where you can walk, relax or play. There are two swimming pools - one is for children - lobby bar, pool bar, the beach bar, self service restaurant, main restaurant where breakfast and dinner are served in buffet style, T.V. 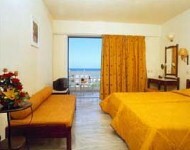 room, card room, and large terraces on the beach as well as at the pool where you can enjoy your drinks. 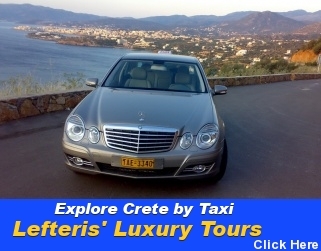 There is bus service to Chania on regular basis.